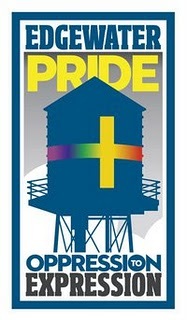 LGBT Pride Events in Edgewater & Andersonville Reviewed by Edgeville Buzz on June 22, 2011 . Alderman Osterman’s office along with the ASCO present the showing of RENT along the lakefront near Bryn Mawr on Friday, June 24th at 8PM. Free popcorn will be provided, bring your own chairs and blankets. Congregation Or Chadash, Chicago’s LGBT synagogue since 1976, is hosting its annual Pride Shabbat Beach Service and BBQ on June 24 at its synagogue, (5959 N. Sheridan Rd in the Emmanuel Congregation building). Join them at 6pm for a BBQ followed by Shabbat Services on the beach. All you need to bring is a side dish to share (no pork, no shellfish, and no meat/dairy combinations) and a beach chair/blanket to sit on. This is a great way to start Pride weekend and get to know a Jewish congregation in the neighborhood. 48th Ward Harry Osterman will be in Chicago’s 42nd Annual Pride Parade as float #22. Osterman’s office is looking for people who wish to march with them – contact jared@harryosterman.org if you have an interest in joining them in the march. Check out the Edgewater Historical Society’s newest exhibit, “Edgewater Pride, Opression to Expression.” The exhibit celebrates the LGBT community in Edgewater while chronicling the history of businesses, leaders, and organizations that have made contributions to establishing equality and making our neighborhood what it is today. Windy City Media did a recent writeup of the exhibit, check it out here. Friday, June 24 and Saturday, June 25, 2011 at 8:00 p.m.